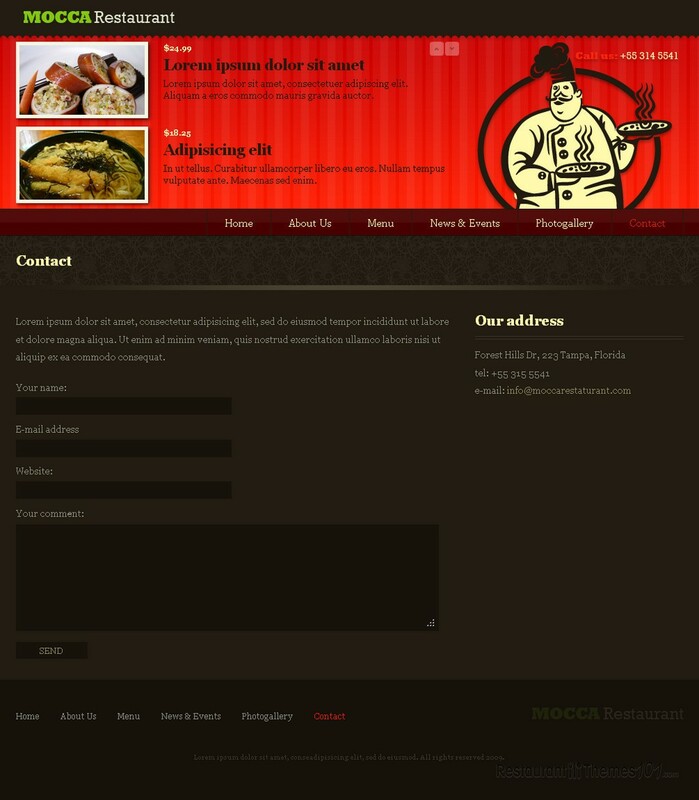 Sofa Restaurant is a dark neutral HTML restaurant template created by Feeleep and featured at ThemeForest. 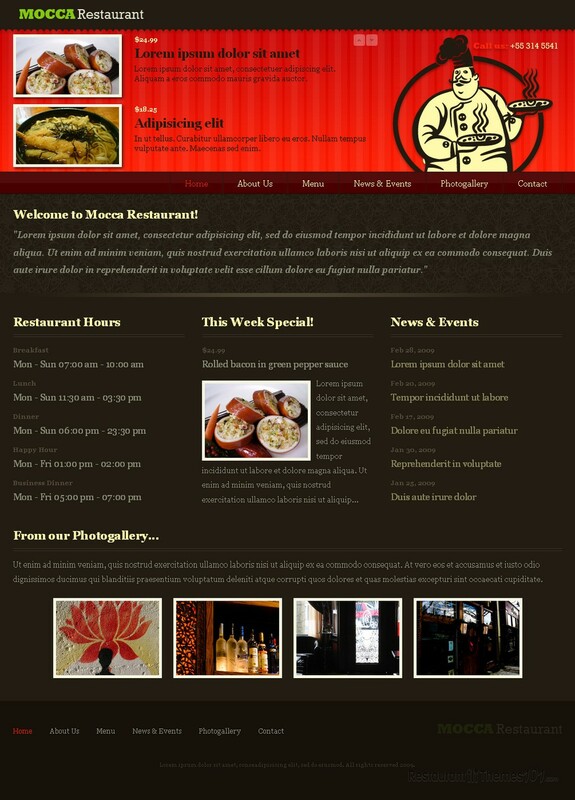 It is enhanced by attractive elements and it features many options any good restaurant template should have. 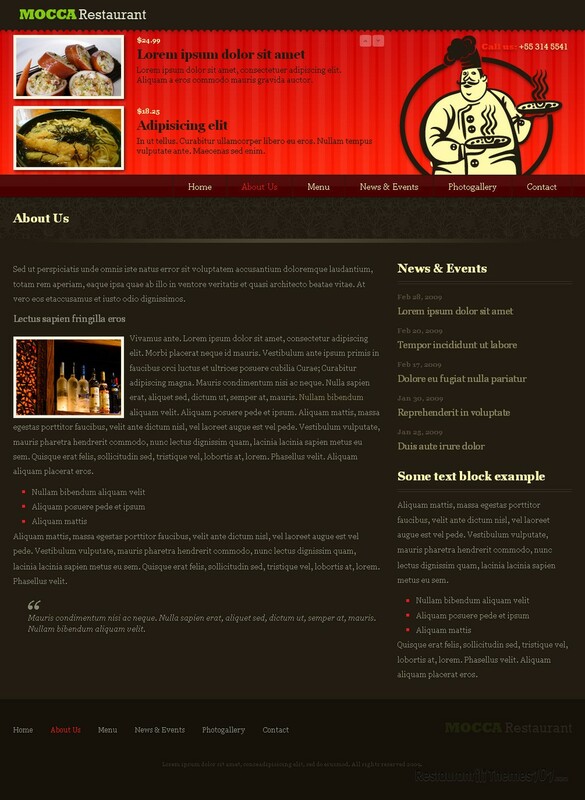 This template features a great looking scrollable Flash header. This header reads data from an external XML file that is very easy to understand and edit even for users who have no script knowledge. Customization is very easy and it can be done within just few minutes, and PSD files are also included making any layout change easy and manageable. The homepage looks great and the pre-set choice of colors is very nice with complementing colors and pretty patterns. You will be able to feature your most popular dishes in a sliding form with resized photos, prices and short descriptions of each and after clicking them your visitors will be redirected to a page where you can describe the delicacy to them. A nice introduction text can be added so you can attract all of your visitors with welcoming words. The boxes under the introduction are there for you to feature some important elements of your website, such as your working hours, your daily specials and your events. Your daily or weekly specials can be featured with photos and some teaser text which, after clicking on it, takes your visitors to a page where you can tell them all about the featured serving. The news and events can be displayed as a list along with dates, and after clicking the event that caught their attention; your readers will be taken to the event page, created for detailed descriptions and welcoming invitations to your happenings. 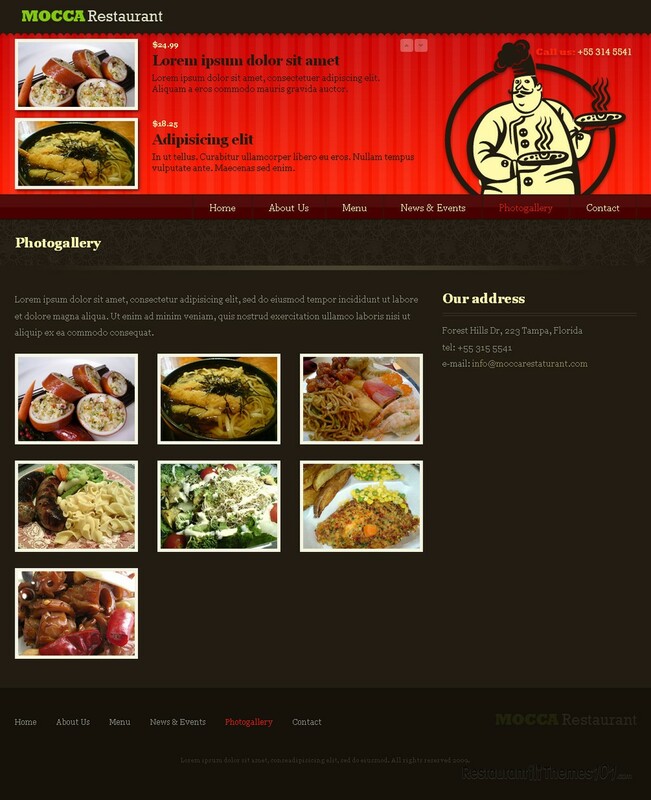 Your photo gallery can be featured on your homepage also in form of resized photos which take the users to the right albums where they can see big, quality photos of your restaurant or your specialties. 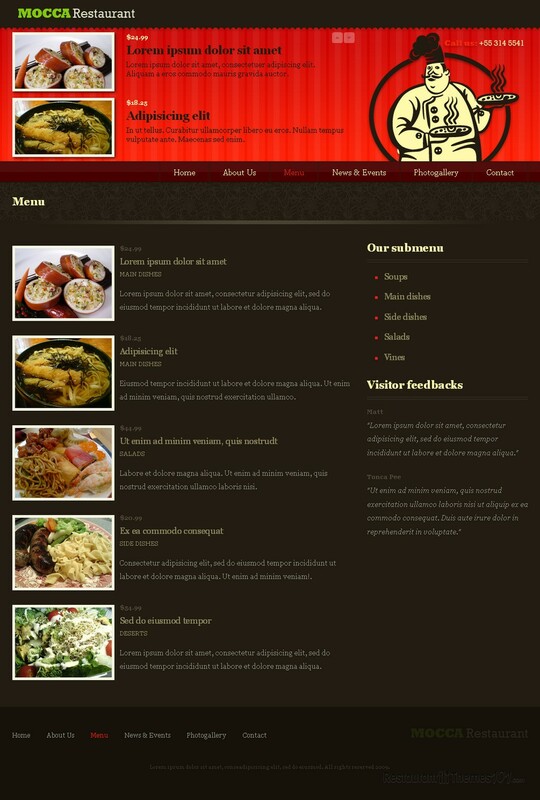 Sofa Restaurant can be used as a cafe HTML theme, or as a template for any restaurant niche, as it is very adaptable. It contains all the elements of a great restaurant website, with all the information any typical visitor would expect from such a site.